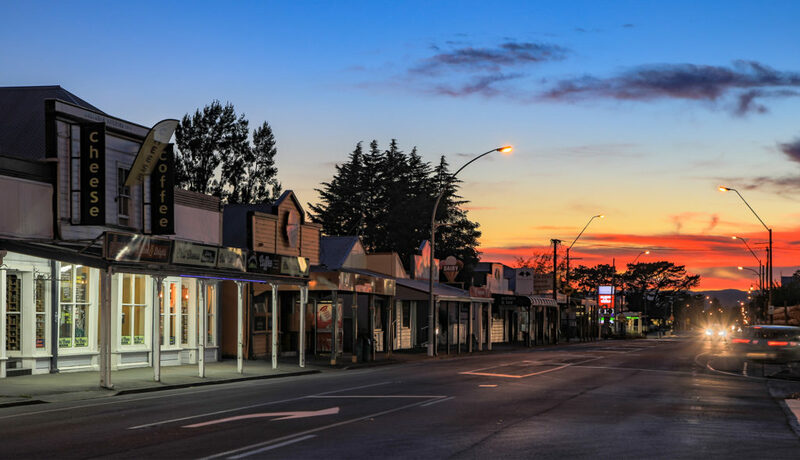 FEATHERSTON’S MAIN STREET AT DAWN. PHOTO: PETE MONK. Fab Feathy is a community-led development initiative in Featherston, New Zealand. What is community-led development? It is about the people in a community coming together to identify shared ideas and dreams – as well as issues and concerns – then creating goals. The community then works together to achieve those goals. Community-led development uses and develops the community’s strengths and assets, and builds local leadership. Featherston is a great community to live in. It has a strong tradition of individuals and groups leading change. About two years ago, a group of community-minded citizens heard about a government programme that provided support and funding for community-led development initiatives. They were inspired by what might be achieved if Featherston’s community mindedness was brought together and focused on shared community aspirations. They consulted with the community, wrote a community plan and signed a partnership with the government department. Now, community-led projects are underway in Featherston to bring about the positive change people want to see. The name of our initiative – Fab Feathy – is short for ‘Fabulous Featherston’. Read on to find out more about our journey, our vision and aspirations, and the project work that is underway or kicking off soon.